Are you trying to save a little money when it comes to servicing your car in West Warwick? Take a look at these great car service and maintenance coupons. Keep your car and wallet happy at the same time! Just print one off and bring it in today! *Loaners available by appointment only. *Loaners available by appointment only. Offer available at Speedcraft Nissan only. Not valid with any other offers. Spring break or holiday travel? 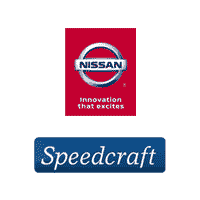 100% Free Car Wash from Speedcraft Nissan between now and the end of April! **Must come in by 4/30. No Sundays. West Warwick has an automated car wash that will be a quick process. Wakefield offers hand washes that take longer to complete. *Present coupon at time of write-up. Appointment recommended. Sales tax and shop supplies extra. Not valid with other coupons or advertised specials. Valid on Nissan models only. Offers expire end of month. *Present coupon at time of write-up. Appointment recommended. Sales tax and shop supplies extra. Not valid with other coupons or advertised specials. Valid on Nissan models only. Offers expire end of month. Offer available at Speedcraft Nissan only. Not valid with any other offers. 10 Conventional Oil & Filter Changes Only: $199 + tax! *Present coupon at time of write-up. Valid on Nissan models only. Not valid with other coupons or advertised specials. Not valid on prior services. Present coupon at time of write-up. Sales Tax and shop supplies extra. Includes complete inspection of steering and suspension system. Conventional Oil only. Excludes GTR and Diesel models. Valid on Nissan models only. Spring break or holiday travel? Stop by any of our locations for a Free Car Wash.
100% Free Car Wash from Speedcraft Auto Group between now and the end of April!